Registration for the summer and fall terms generally opens in April. Registration generally opens for J Term and Spring terms in November. Specific dates will be posted on the Office of the Registrar website. The college assigns first-year students to sections and students will be registered by the Office of the Registrar prior to the start of their first term. How do I know if a course has prerequisites? Course information can be found on the Course Descriptions page. What is the difference between a regular class and a survey class? Survey courses are a shorter version that focuses on topics covered on the bar exam. How can I see my wait list position? Log in to your student record and select “My Schedule.” Your wait list position is listed with your registration for the term. Does the section numbers of a course identify the enrollment option? Rather than relying on the section number to determine the enrollment option of a course, it is best to check the notes column for registration restrictions. If I am on a wait list for a course, how will I know when a space is available? Reply to the email offer accepting the seat. I am not a Hybrid or EJD student, but I want to take online courses. Can I? You can take online courses, but not hybrid or EJD courses. If you are interested in moving to a different program, more information can be found on the Hybrid program website and the EJD program website. What’s the difference between a hybrid and online course? Aren’t they the same thing? 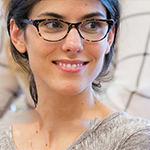 The Hybrid program offers primarily two types of courses: hybrid and online. Hybrid courses meet both on campus and online, include a weeklong Capstone combining assessments for the course module of three courses for that semester, and are reserved for Hybrid program students only. Online courses are different, and eligible on-campus students may take online courses, even those offered by the Hybrid program. I’m an on-campus student. Can I take a single hybrid course? No. Students enroll in hybrid courses as a block because the content for the courses in the semester module are taught together during capstone and prep weeks. It’s not possible to tease a single hybrid course out of the module to be taken separately. With permission from the Director of Blended Learning Programs, on-campus students may enroll for an entire semester-long block of hybrid courses. For instance, the Health Law module is available to on-campus students, but all the courses must be taken during the term. What if the hybrid section of a course is the only one that fits my schedule? Hybrid courses—those that meet online and on campus—must be taken as a block and the capstone schedule isn’t likely to fit your schedule anyway. I’m an on-campus student. Can I take an online elective offered through the Hybrid program? Yes, you can. Online electives offered through the Hybrid program are fully online, not hybrid, and meant to stand alone as part of a semester schedule. Hybrid students have priority registration (meaning they’ll be pre-registered prior to the opening of registration) and all remaining seats will be available for online registration. To register, click the Add or Wait list button just as you do for other courses. Please note: the fully online electives offered through the Hybrid program follow the Hybrid academic calendar and have different start, add, and drop deadlines. 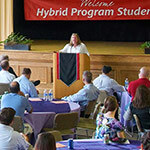 The Hybrid program’s online electives will follow the Hybrid program rules and exam procedures. Please also note that the ABA’s rules for distance learning apply. Students must have earned 28 credits before they are eligible to take online courses. Students are limited to a total of 15 distance credits toward the JD. Are there online courses outside of the Hybrid program? Yes, there are. J-term and summer often include online offerings. 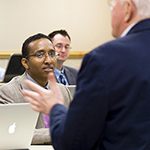 The DRI and HLI both offer online courses during spring and fall. Legal Research is a topic often taught online. Look for “online course” in the notes. If there are special registration instructions, they’ll be included in the notes as well. The ABA rules for distance learning apply to online courses, but unless the course is offered through the Hybrid program, the Hybrid program’s calendar and rules do not apply. What’s the difference between skills and experiential courses? We use “skills” is an umbrella term encompassing all courses with a skills component. “Experiential” covers the three types of courses that can count toward the ABA’s requirement that JD students earn six credit hours in experiential courses: simulations, clinics, and externships. It’s a more specific term. Advocacy, Negotiation, and Transactions & Settlements are all simulation courses, and count toward the ABA’s six credit requirement in experiential courses. When does the term start? Term dates can be found on the academic calendar. Remember: different enrollment options have different term start, end, and exam dates. Pay attention to the term dates for the enrollment option of the course you are taking–the course’s program enrollment option determines the term dates. How can I find out when my class meets? The Course and Room Schedule page shows the day of the week a course meets. You will find the start dates for the term on the academic calendar. Is there a limit on the number of credits I may take each semester? Maximum: 15 credits, but students who want to register for more than 10 credits in the summer semester must get advance permission from an Associate Dean. Minimum: 8 credits except in summer and in a student’s final semester. An Associate Dean may grant students a one-time exception to the 8-credit minimum for extraordinary circumstances. See the Student Handbook, Chapter 3, Section 5 for more information. I’m not a Hybrid or EJD student. How many online credits may I earn? No more than 15 credits may be earned toward the J.D. degree through courses that are designated “distance learning.” A distance education course is one in which students are separated from the faculty member or each other for more than one-third of the instruction and the instruction involves the use of technology to support regular and substantive interaction among students and between the students and the faculty member, either synchronously or asynchronously. Source: ABA Standard 306 (a). How many credits do I get for my long paper? The long paper is not worth any credits. If you complete the long paper in a seminar course, you earn 3 credits rather than 2 credits. If you write a long paper as part of any other course, there are no additional credits associated with it. A long paper may be completed as part of an independent research project that earns credit. The credit value for the project should be determined in coordination with the faculty for the project. The long paper has no credit value separate from the independent research project. Guidelines for the Advanced Research and Writing Requirement (long paper) can be found here. Do you offer electronic transcripts with electronic payment? Mitchell Hamline Office of the Registrar has partnered with Parchment to provide academic transcripts. Why do I have to create an account with Parchment? We don’t have the resources for online payment or secure PDFs in house. We explored multiple vendors and selected Parchment for service, simplicity, and cost. One of the steps in setting up a Parchment account is entering a code number you will receive via email. If you do not immediately receive this email, check your spam or junk box. If it is not there, contact the Office of the Registrar for assistance. If you don’t want to create an account with Parchment, don’t worry. You can still order a paper transcript directly from our office using the old paper request forms. Payment (cash or check) must accompany your request form. Why do I have to prepay for paper requests? It’s true we used to bill later to offer convenience to students and alumni who were too rushed to mail in a check. Unfortunately, the default rate was close to 25%, making the “order now, pay later” system unworkable moving forward. The Parchment system offers the speed and convenience of online payment. I am an alum of Hamline University School of Law. How can I order a transcript? 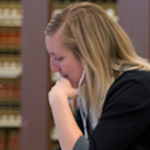 Academic files and coursework for students who completed enrollment at Hamline University School of Law prior to December 2015 are recorded by Hamline University. Hamline University Registration and Records Office can be reached at 651-523-3000 or via email at registrar@hamline.edu. What’s the difference between graduation and commencement? Aren’t they the same? Graduation refers to the conferral of your degree. For example, the Intent to Graduate form is submitted prior to your last law school term and triggers the graduation degree audit process. Commencement refers to the ceremony only. Participation in commencement does not equate to conferral of your degree. The Office of the Registrar manages graduation. The Dean of Students Office manages commencement. I have questions about the commencement ceremony. Who should I contact? Commencement ceremony questions should be directed to the Dean of Students Office. How do I get a Bar certification completed? We will certify you to the jurisdiction you indicate on your Intent to Graduate form. If there are changes or you are taking a subsequent bar exam, you must notify our office so we can record your authorization and send the correct certification. We have Minnesota dean certification forms in house. For all other jurisdictions, you must provide the required forms to us. How can I get a letter of good standing or general enrollment verification? Request for Letter of Good Standing and general enrollment verification forms are found on the Forms page, in the Enrollment Forms section. How can I request a standard degree audit? The Standard Degree Audit Request Form is found on the Forms page, in the Graduation Requirement Certification and Degree Audit Forms section. You can also find the Standard Degree Audit Request Form on the Academic Requirements page. Standard degree audits can be requested anytime. You will receive a Graduation Degree Audit after you submit an Intent to Graduate form. What degree conferral date will appear on my diploma? If you complete your degree requirements in a semester with a commencement ceremony (fall or spring), the degree conferral date on your diploma will be the day of commencement regardless of your participation in the commencement ceremony. If you complete your degree requirements in a term without a commencement ceremony (J-term or summer), the degree conferral date on your diploma will be the last day of the term. Where can I find information about exams? The Exams page contains policies, exam schedule, information and forms. Courses with scheduled exams can be found at the bottom of the Final Exam Schedule page. Grades are posted when they are received by the Office of the Registrar. Click here for more information about grades. It can be used once in your JD career, and once used, you cannot change your mind to use it on a different course or in a different term. It can’t be used on clinics or required courses. The deadline is five calendar days from the date of your last grade posting for the term. As a practical matter, the earliest possible deadline is five days after the last on-time grade is posted because we don’t expect students to constantly check their records to ascertain when their last grades for the term were posted. For instance, if grades are due June 8, we would expect all on-time grades to be posted June 9. In this case, the pass option deadline for most students will be June 14. Students with a late grade will get a later deadline, but students with all early grades won’t have an earlier deadline. We start processing them on the due date, not earlier. To exercise your pass option, use the form on the Forms webpage. You can learn more about the deadline and rules for the pass option in the handbook. Is there a limit on the number of Pass credits I can earn? When are class ranks posted? Class ranks are computed at the end of a student’s first two semesters and every fall and spring semester thereafter and appear on the transcript. Only those students who received all of their semester grades receive a class rank. Our goal is that non-senior ranks are calculated one week after the last non-senior grades are processed. Senior ranks are calculated when all senior grades are processed. Students are ranked with other students who are proceeding through law school at approximately the same pace, except for the final ranking, in which students are ranked with their graduating class. Students who graduate in August are ranked with the subsequent January graduation class. A student’s class rank is not changed once ranks are computed. For grade security, students are not given their class ranks over the telephone. Students may request an official transcript without the rank listed by contacting the Registrar. Help! I can’t remember my password! Helpful information to reset your password can be found on the Technology Services webpage. Where can I find financial aid and tuition information? Information can be found on the Financial Aid Office website.